I love picking up fresh produce at the farmer’s market on Saturday mornings but I have to say there is something that happens this time of year that I don’t love: the produce gets REALLY heavy thus making it difficult to lug around for very long. Potatoes, pumpkins, beets, and the myriad varieties of squash. I of course love squash so I don’t so much mind, but I am thinking of investing in one of those granny-esque wheeled basket-numbers to save my back. But I digress. Today we are working with one of my favorite kinds of squash. Acorn squash is thus named because it is shaped like acorns, only a lot bigger and green on the outside with a lovely orange flesh on the inside. The shell is quite thick on acorn squash so please be careful when cutting them down the middle and keep your digits out of the way of the knife. Then scoop out the seeds and you are halfway done with the hands-on portion of this recipe. Place the squash halves (cut-sides facing up) in a baking pan with half a cup of water in the base of the pan, then season the squash halves with salt and pepper. Next you heat up some heavy cream with torn sage leaves and thin slices of garlic over medium heat until it simmers. 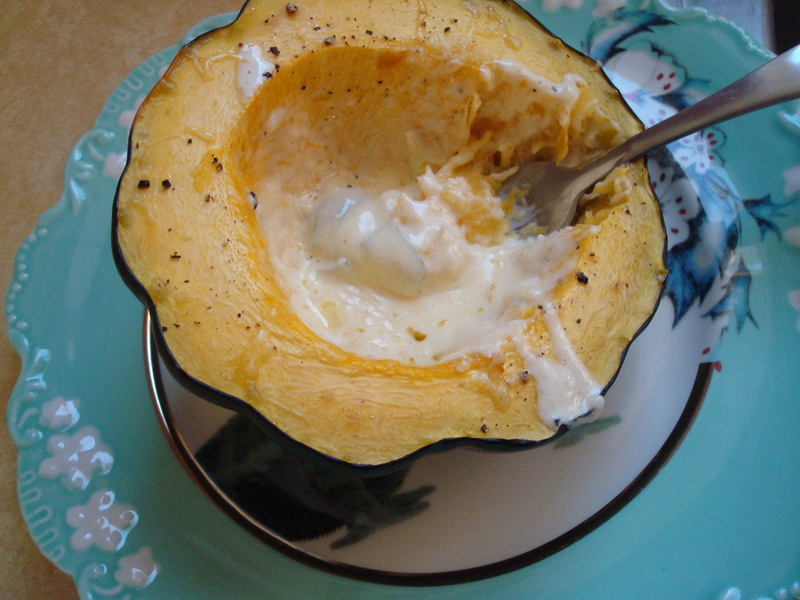 Pour the cream sauce evenly in each of the squash halves (recipe below is for two whole acorn squash or four halves) and bake in 375 oven for 30 to 40 minutes. 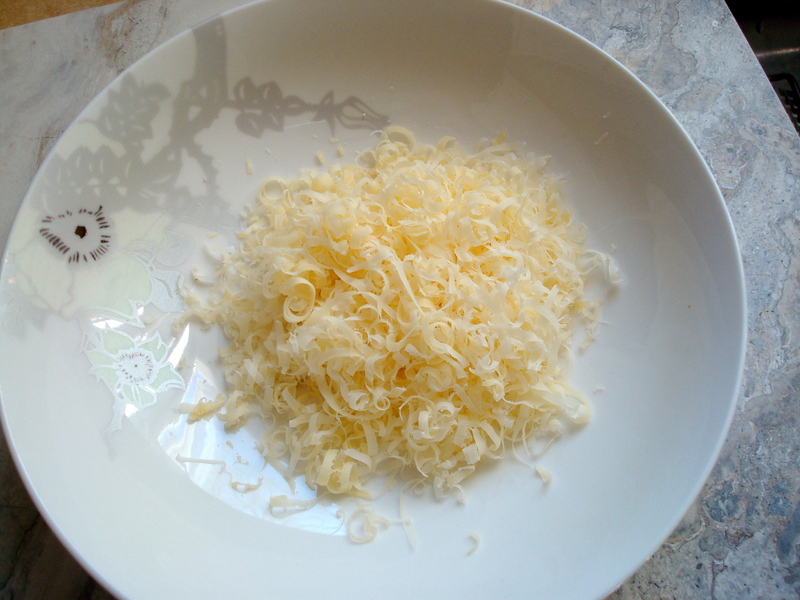 In the meantime grate some Gruyère cheese in preparation for the final step. After the squash has baked for the 30 to 40 minutes remove it from the oven and sprinkle the cheese evenly amongst the halves and bake for an addtional 10 minutes or until the cheese melts. Then remove from the oven and enjoy. Preheat oven to 375 degrees F. Place squash halves, cut sides up, in 9-inch baking dish. Season with salt and pepper. 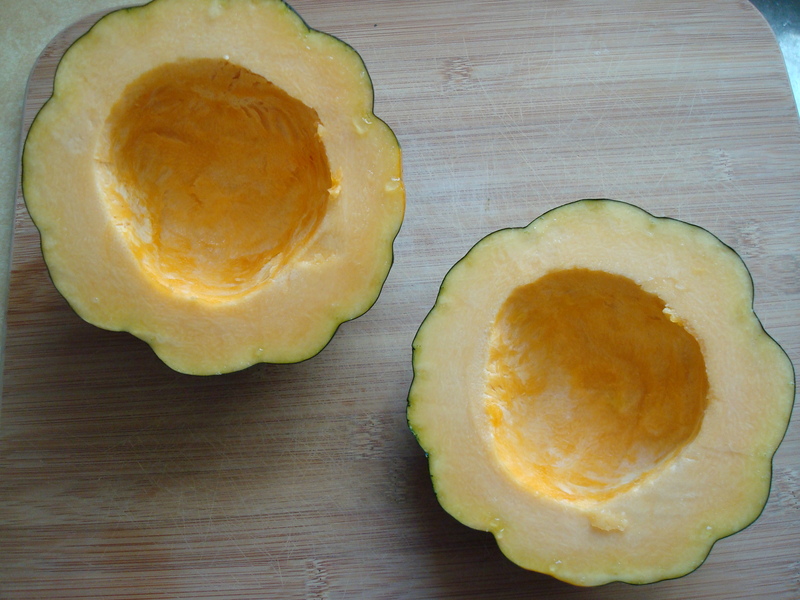 Pour about ½ cup water into baking dish around squash. Combine cream with sage and garlic in small saucepan. Bring to a simmer over medium-high heat, then pour into squash halves, dividing evenly. 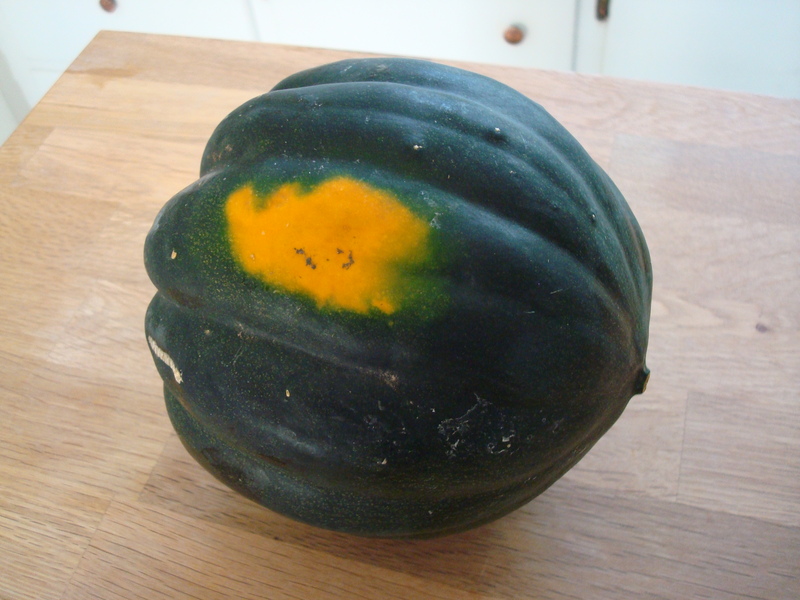 Bake until squash are tender when pierced with tip of sharp knife, 30 to 40 minutes. Remove from oven; sprinkle with cheese, dividing evenly. Continue baking until cheese is melted and golden, about 10 minutes. Serve hot.